The Indian Retail sector has witnessed a gradual albeit steady metamorphosis over the last decade alone. Despite the myriad advances over the years, the sector continues to remain highly fragmented; still primarily dominated by the unorganized segment – the quintessential traditional family run stores. Although there has been a steady deviation from this paradigm, causing the share of the organized segment to grow on a per diem basis especially in urban India, the fragmented and piece-meal nature of the market, amongst other correlated factors, has disallowed the sector to realize its holistic growth potential. However, off late, large scale domestic retailers who continue to astutely learn from their former debacles; are looking to individually embark and embrace a carefully calibrated long term strategy in their quest to dramatically transform the retailing landscape in the country. Despite the numerous obstacles that existing players and new market entrants have to deal with, the Indian retail market bristles with abundant promise…The country beckons to global retailers and foreign investors alike. According to the Global Retail Development Index (GRDI) report published by the leading US based consulting group, AT Kearney in June 2010, India is the third most attractive retail market for global retailers among the 30 largest emerging markets. The report also highlights the well documented fact that organized retail constitutes a mere 5% of the total annual revenues generated, hence, providing a tremendous window of opportunity for both domestic and international retailers to tap into a burgeoning albeit fragmented market. The sector is poised for rapid growth and is pegged to be worth US$ 535 billion by 2013, with organized retail’s share increasing to 10%. Robust economic progression, ever increasing disposable incomes, greater availability of personal credit and a growing vehicular population that facilitates easier mobility are a clutch of factors that will fuel further sectoral growth. Despite the increasing levels of disposable incomes, both in rural and urban India, 75% of the country’s population earns less than US$ 2 per day. However, that is a figure that is unlikely to deter foreign retailers. The dominating presence of the unorganized segment, a burgeoning youth population more receptive to Western lifestyles and ideologies and the low levels of market penetration in various categories and retail formats; especially in the Tier II and Tier III cities; makes the Indian retail scene all the more attractive. The retail sector is currently worth around US$ 395.96 billion and accounts for 22% of the GDP. It also contributes a healthy 8% to the country’s employment. Domestic “power players” like the Future Group, Reliance and Tata (Trent) amongst others; continue to adopt a high scalability strategy and are increasingly experimenting with new formats that are gaining greater acceptance with an ever evolving and perceptive consumer. A slew of hypermarkets, supermarkets, departmental, convenience and specialty stores are rapidly replacing the traditional mom-and-pop kirana stores; raising grave concerns regarding their profitable existence in the long term. Amidst all this hyperactivity, one key issue that has remained atop the agenda of the country’s policy formulators for a while now has been the issue of FDI in the retail sector. Foreign Direct Investment (FDI) in the retail sector has always been a contentious issue per se, courtesy the well documented proclivity of our policy makers to dither and delay decision making on key aspects stemming from political risks at large. Presently, India allows 51% FDI in single-brand retail and 100% for cash-and-carry outlets that are permitted to sell only to other retailers and businesses. 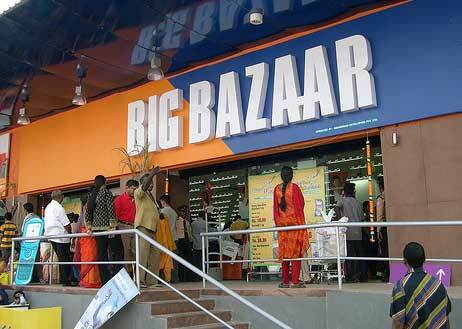 This has seen global giants such as Walmart and Carrefour enter the Indian market. Walmart currently operates five cash-and-carry outlets in partnership with the Bharti Group while Carrefour set shop with its first cash-and-carry store last December. FDI in multi-brand retail however, has always been a hot potato of sorts. With global retailers clamoring at our doors, a burgeoning market ripe for organized development and an increasingly discerning and aware end-product consumer; policy makers have been unwilling to throw caution to the wind and go the whole hog by allowing any sort of FDI intervention with regards to multi-brand retail in the country. The authorities have made the right noises from time to time, germane to the matter at hand, but have been reluctant to “open the floodgates” as far as FDI in multi-brand retailing is concerned. However, in the face of rising inflation, need for proactive economic and strategic reforms and employment generation opportunities; the Government has off late, softened its stance…partially shedding its garb of recalcitrance and embracing the next phase of economic liberalization. In July of last year, the Department of Industrial Policy and Promotion (DIPP) released a detailed discussion paper exploring the plausibility of permitting FDI in multi-brand retail. 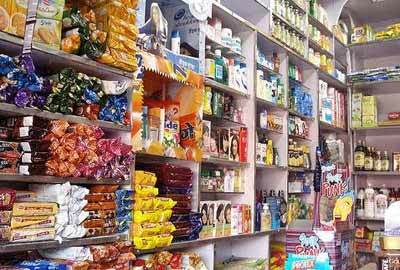 The paper sought to allay the fears of the traditional kirana stores that stand to lose the most in the wake of the purported market entry of international players. The fact is that although their financial interests will take a hit to a certain extent, the “shopping culture and mentality” of the lower-middle and middle class Indian consumer coupled with their locational advantage will ensure that the kirana stores remain an integral part of the Indian retail scenario for the next few years. 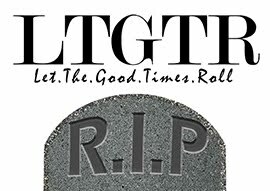 Many believe that the widely propounded theory that the “entry of big fish will kill small fry” is a myth and there is ample scope for growth for both segments. The paper further discussed the feasibility of introducing a Shopping Mall Regulation Act in order to protect the interests of the small-scale domestic retailers. The pertinent question of employment was also addressed, as the Department suggested that half the jobs accruing from the establishment of new multi-brand outlets be reserved for the rural youth. However, the house is still divided with regards to that recommendation. They say that the supply chain is the heart and soul of a retail business…and it is with prudent reason that they say that! The Indian retail sector is presently hounded by a flawed and floundering supply chain that has caused humungous monetary losses to all domestic players in the business, both big and small. Coupled with gross mismanagement and an inherent inability to address these deficiencies, the supply chain remains the retail sector’s weakest link. Bereft of a sound supply chain system, dogged by managerial and logistical impediments and the absence of proper cold storage facilities and warehouses; the sector incurs losses to the tune of over US$ 1 trillion annually. Hence, the need to allow FDI in multi-brand retail assumes even greater significance. These global retailers are expected to bring with them a wealth of experience, streamline supply chain operations, eliminate the predatory middlemen and infuse a greater degree of strategic technical expertise that will only benefit the sector as a whole. The domestic players will face stiff competition and many of them may look to enter into strategic alliances with these global giants in order to safeguard and further their interests and protect their margins, but are likely to take a leaf out of their books and implement proactive strategies to establish stronger and more robust supply chains. At the end of the day, it is about delivering value to the consumer and ensuring a veritable level of customer satisfaction. An efficient supply chain, seamlessly integrated into a holistic retail business mainframe, goes a long way in doing just that. Although the discussion paper lacked clarity on various aspects, it is still regarded as a positive step in the larger scheme of things. 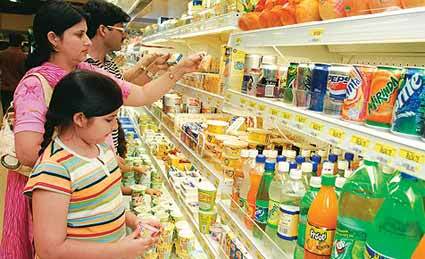 In late July this year, acting on the recommendations of the DIPP, the Committee of Secretaries (CoS) headed by Cabinet Secretary, Ajit Kumar Seth, cleared the proposal to allow FDI in multi-brand retail. The FDI is pegged at 51% and the foreign investor would have to bring in US$ 100 million as investment, restricted to only Tier I cities. Tier I cities are those with populations over 1 million. There are 36 such cities in the country. 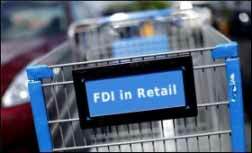 This latest development certainly does come as a shot in the arm as far as FDI in the retail business is concerned. Retail is capital intensive sector and the increased availability of funds coupled with the imminent presence of foreign players promises to add a whole new dimension to the sector. Retailers ought to take cognizance of the fact that both back-end and front-end operations require investment and hence, need to be developed in a manner commensurate with their overall business operations. Our policy makers finally appear to be waking from their “decision-making reverie” and have most certainly taken a leap in the right direction. However, the road ahead is paved with greater challenges, for both existing and potential market players alike. Only time will tell who rises to the occasion, adapts to the new market realities, galvanizes its supply chains, leverages its core competencies and successfully counters its competitors in a hyper-competitive sector that is the Indian Retail arena!